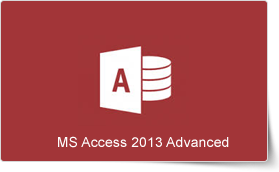 Microsoft Access 2013 is the latest software that introduces web apps to Access. Now, you can easily build an Access web app and share it with others as a SharePoint app in a web browser. This advanced training course in Access 2013 provides expert knowledge and skills in customizing apps, using advanced field tasks, working with Expression Builder, creating queries, handling data, creating forms and reports, and more. This Microsoft Access 2013 Advanced Training Course can be delivered at your premises by one of our expert local or international trainers or live online using our HIVE technology. During this course, participants will develop skills in using the advanced features of Microsoft Access 2013, including using app view tools, customizing apps, working with advanced Field tasks, working with external data, creating queries, and creating forms and reports. This Access 2013 Advanced Training Course helps in understanding and using the various advanced features of Access 2013 to help participants achieve mastery in it.